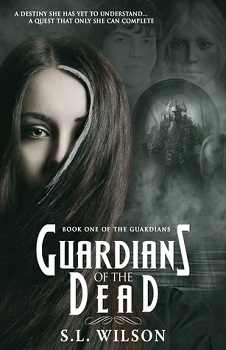 As her father alienates her, and the Guardians take her best friend, her true destiny unfolds, and she begins a quest that will see her past collide with her present. Drawn deeper into the world of witchcraft and faeries, it is only at the end of her journey that she realises how much she could lose. Ok, let’s start with the good stuff. As a former Celtic pagan, I really appreciated the inventive ways this book explored magic. From intricate spells to innate magical powers, the characters and plot were propelled forward by supernatural enchantments, and it made for a pretty fascinating core story. Unfortunately, I think the book was too short for the execution of this beautiful core to be as good as it could have been. Everything in this book happens too quickly, leaving little room for the kind of detail that would really bring it to life. Problems are solved too easily, so even the suspense is minimised. In a story like this, especially because its ending left room for the sequel, I wish the author had taken a little more time to let mystery flourish and to challenge her characters to work hard to solve their problems. As it is, things felt rather random, almost as if the magic was an excuse creative to solve plot holes. I did, however, love that the romantic aspect of this book was handled with much more grace than one usually sees in young adult novels. Rather than the annoying love triangles one often sees, the love story in this book has heart and some elements of subtlety. Overall, I did enjoy reading this book for the creative descriptions of magic and the wonderful core of the plot. I just wish that things hadn’t been so easy and rushed—with a fascinating magic world like this, I want time to enjoy it and develop a relationship with the characters so I care what happens to them! I therefore give this book three out of five stars. My love of fantasy began at the tender age of eight when I followed Enid Blyton up a Magical Faraway Tree. I began weaving tales around faeries, witches and dragons at the same time. I write YA fantasy/supernatural novels. I am also a blogger and book reviewer. Writing is my first love. Reading comes a close second. I live in Solihull in the UK with my three teenage children and a fat fish. I am obsessive about pizza, an avid list writer, blogger and full time day dreamer. I would love to live in the Shire but I fear my five foot ten inch height may cause problems. Welcome to my world. I also write non-fiction under my full name, Shelley Wilson. You are very welcome. Glad that you like the review .